This summer I spent some time in Georgia. However this wasn’t your momma’s Georgia. They don’t speak with a southern drawl there. In fact their language is unrelated to any other language that is spoken by any people outside the Caucasus. I did not go to the American Georgia, but instead to the Georgia that used to be part of the USSR. It’s a country in the Caucasus region. In the north, you can find the Caucasus mountains, while the west of the country is located on the Black Sea. I got to Tbilisi, the capital, at midnight and while being driven into town, the first thing I noticed was the quaint charm of the old town, or the historical center. There was an old fortress perched high up on a rock and a bunch of old churches all around. All these were illuminated by lights of different colors and this gave the entire scene a certain glow which uplifted the senses. What was surprising was that even though it was after midnight and in the middle of the week, the center was full of people, walking around or just hanging out, which gave the town a dynamic atmosphere. There were groups of young people chatting, girls in mini-skirts on their way to party and families with little kids enjoying a nice after midnight stroll. If you have been to any cities around the Mediterranean, then you know what I am talking about. 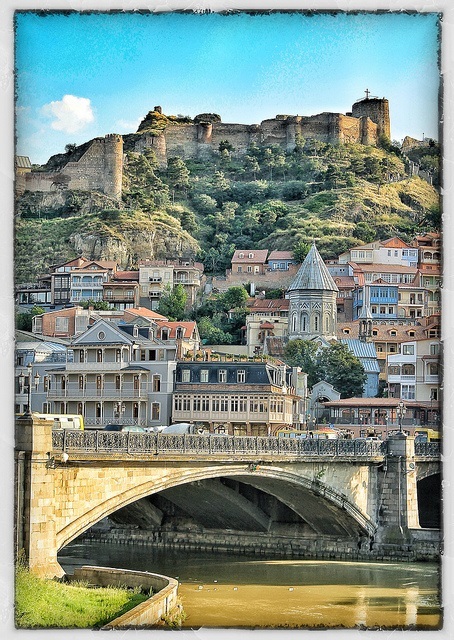 The city of Tbilisi itself looks quite modern, with many of the old buildings being reconstructed and clean. The highlight of the visit will be the old town. The old town lies right on the river and there are several churches there which are more than a thousand years old. High above the old town there are the ruins of an old fortress, which are definitely worth a visit. Once up at the fortress, you get a great view of the entire city. You can also walk along Rustaveli Street and explore all the shops or go to the amusement park above the city. Once at the amusement park, don’t forget to go to the restaurant there, as you get a great view of the entire city while eating there. Georgian girls are pretty hot and dress really well, but Tbilisi is also full of Russian girls and girls of other nationalities. Also Georgia is known for its wine, so if you are out, try it. 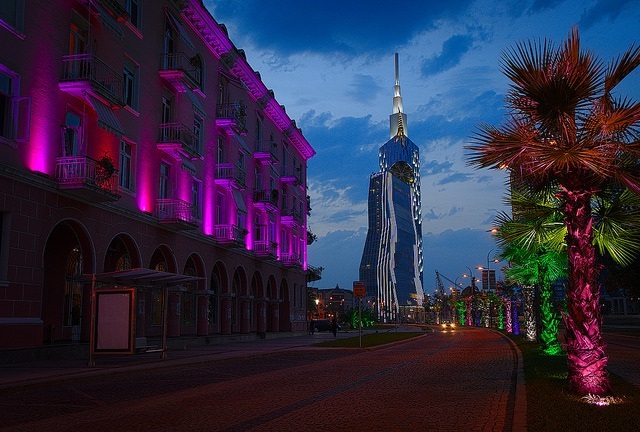 Batumi is a city located on the Black Sea. When I got there, I was surprised by how much development is going on in the city. Most of the old buildings in the center were restored and they were coupled with a lot of new buildings that were built in the last few years. There is a lot of construction going on in the city, with many high rises being built. The most important thing about Batumi and the reason why most people go there is the beach. It is a pebbly beach, but there is a very long promenade that leads several kilometers. When I am at a beach, I usually like to walk from one end of the beach to the other, but here it was impossible. The beach promenade is so long, that while I started at the beginning and continued walking for a long time, I had to turn around at some point, as I was really far from where I started from with no end of the promenade in sight. The nightlife in Batumi happens on the beach. I don’t know if there is anything in the center, however the beach promenade is lined with a bunch of bars and clubs and at night a lot of people are walking up and down the promenade, either just strolling or looking for a party. At night, there are also a lot of people drinking on the beach, just in front of the waves. So how do you get around? Both Tbilisi and Batumi are not that big, so you can get to a lot of places on foot. Tbilisi is a bit bigger, so to get to some of the out of way places, you can take a taxi, a bus or the metro. Most of the taxi drivers don’t speak English, so if you only speak that language it might be a bit difficult to communicate. However most of the taxi drivers do speak at least a bit of Russian. So before going to Georgia, it might be useful to at least brush up on some basic phrases in that language. To go in between cities, you can either take a train or something that is called a marshrutka. A marshrutka is a concept that is pretty common in all parts of the former Soviet Union. These are basically vans that go between different cities and transport people. Riding in a marshrutka can be quite an adventure. I took one going back from Batumi to Tbilisi. It cost me 20 lari. What happens basically is that these marshrutkas have signs saying their final destination, usually it is in Georgian, sometimes in English as well, or a few times in Russian. So at the first station the driver is just trying to get as many people in as possible. Space is pretty tight, so don’t expect a very comfortable journey. The particular marshrutka that I took was already almost all filled up when I got there, so I had to squeeze in the back. I sat down and after a few minutes the driver closed the doors, put on loud Russian music and off we went. Also don’t expect the fact that all seats are taken to stop the drivers from taking on more passengers. After the last seat got filled, the driver stopped a few times and took on standing room only passengers! The time to get to Tbilisi from Batumi is around 6 hours, so imagine standing up for that long! Although there were a few people that got off along the way, so most of these standing room only people had to stand at the most for only an hour. For the journey from Tbilisi to Batumi and back, I would actually recommend taking the train. There is a modern train with air conditioning that goes between the cities and it costs the same as a marshrutka ride. Plus it gets you to your destination faster, in 4 hours. However it gets filled up fast, so make sure to book ahead of time. In extreme cases, when you cannot find a train or a marshrutka, the taxi drivers are very willing to take you between different cities as well, although that option will be a bit more pricey than the other ones. My general impressions of Georgia were pretty positive. The cities seem pretty safe, although I guess here the standard be careful cautions apply. However I was walking around after midnight and so were many other people. The official language of the country is Georgian, but I doubt many people outside the country who are not of Georgian origin speak the language. So basically here the two most useful languages for communication are English and Russian. Most older people will not speak English, but most of them do speak Russian, so you should use that language when trying to communicate. Many of the younger people do speak English, as well as Russian. However what I heard is that the knowledge of Russian among the younger generations is eroding, while the knowledge of English is getting stronger. It does seem that Georgia has replaced a lot of the old Russian signs that it used to have with signs in English. I saw some old street signs and they were bilingual, with Georgian at the top and Russian at the bottom. The new street signs now have English at the bottom, instead of Russian. There are a lot of foreign tourists in Tbilisi. The mix seems to be split between backpackers and more serious older tourists. They come from different countries of the world, including many Western tourists. The situation is a bit different in Batumi. It’s a very nice beach resort, but the only Western tourists I saw there were small groups of Polish people and a German family. Otherwise the majority of tourists there are from Russia and other countries of the former USSR, as well as a lot of tourists from Turkey and Iran. Georgia is an interesting country and if you visit don’t stick just to the two most popular destinations of Tbilisi and Batumi. Try to go out and explore. One interesting place to explore is Khevsureti, which is located in the mountains in the extreme north of the country. Khevsureti is a region which has been populated by clans of hardy warriors and traditionally many families used to live in high fortress towers, which can still be seen in many villages. They even used to have a tradition of kidnapping girls. So if a guy wanted to get married, he would stake out some pretty girl from a neighboring village or somewhere else and then kidnap her. 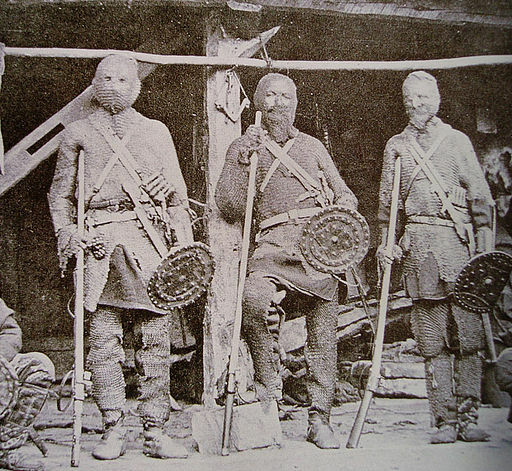 The people of Khevsureti also used to wear old chain armor. There is even a tradition that they descent from a group of Crusaders that somehow got deviated from the Holy Lands and ended up in the Caucasus, although most people regard that as a myth.